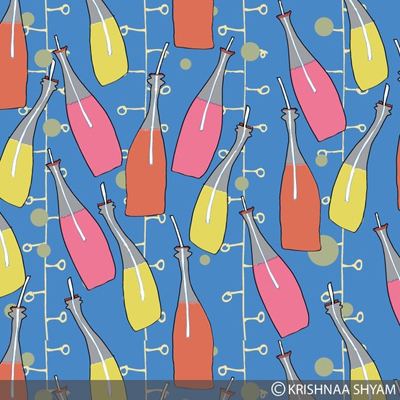 Krishnaa Shyam is a freelance designer based in Bath, UK. 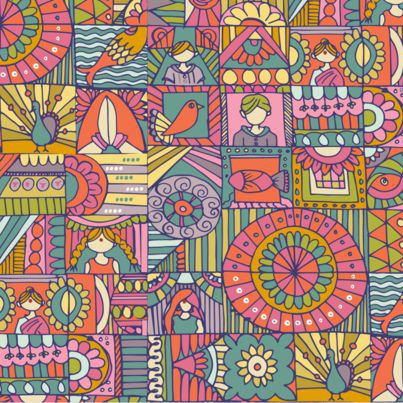 She has been drawing for as long as she can remember and her love for drawing was converted into a madness for Surface pattern after graduating three years ago from the ABSPD course. 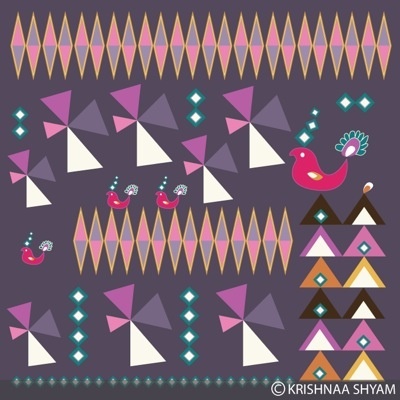 Krishnaa's work is a mixture Indian folk art with a modern aesthetic. 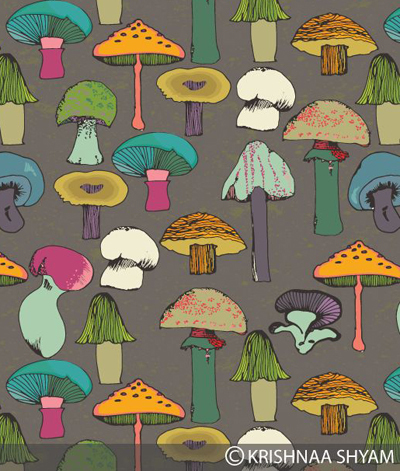 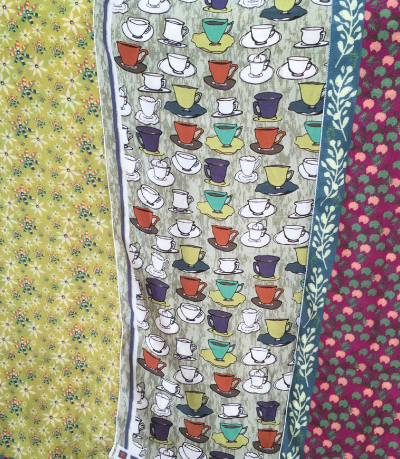 She creates simple graphic motifs, using bright colours and adds texture to create her patterns. 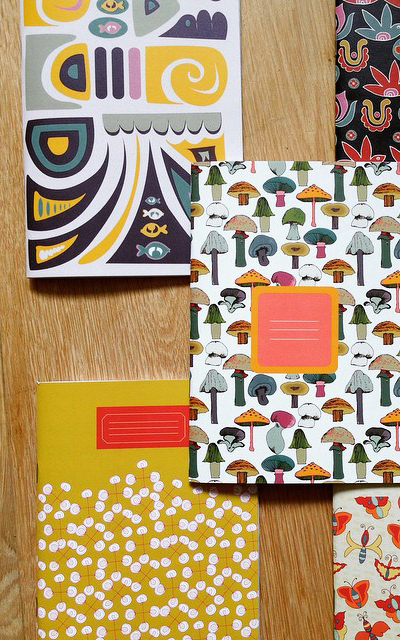 The designs begin with illustrations on paper first and her motifs are then converted her digitally to finish them. 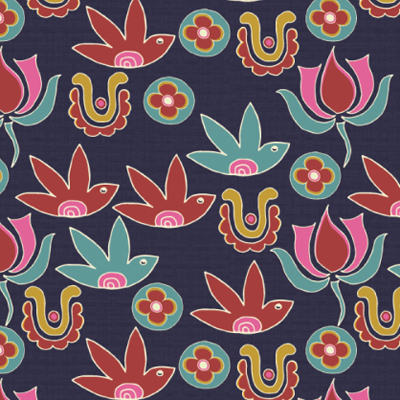 Recent inspiration has been found in folk art from all over the world and in the clean graphic lines and colour of Henri Matisse. 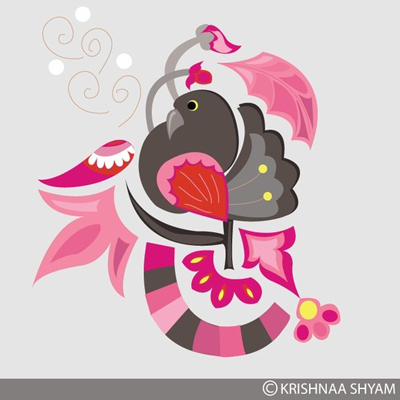 Krishnaa welcomes any opportunity to discuss freelancing, licensing, commissions and collaborations in all markets though her website.